While I didn’t write out any knitting goals for the year, I knew that I should put my ever-growing stash to good use (besides just being beautiful to look at and soft to the touch). I decided to use this hand spun that I bought at a crafts fair. The combination of Bluefaced Leicester and silk (80/20) felt luscious in my hands. 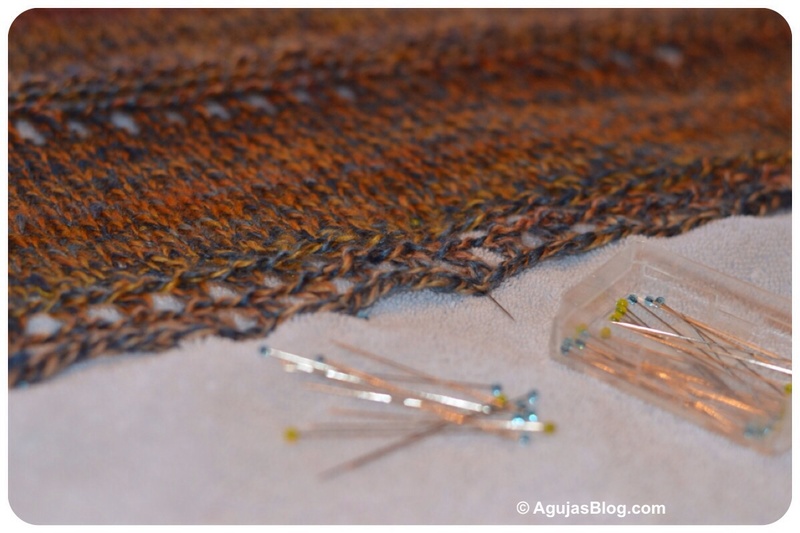 There were 490 yards of it to play with and the color changes were lovely to look at as they unfolded. 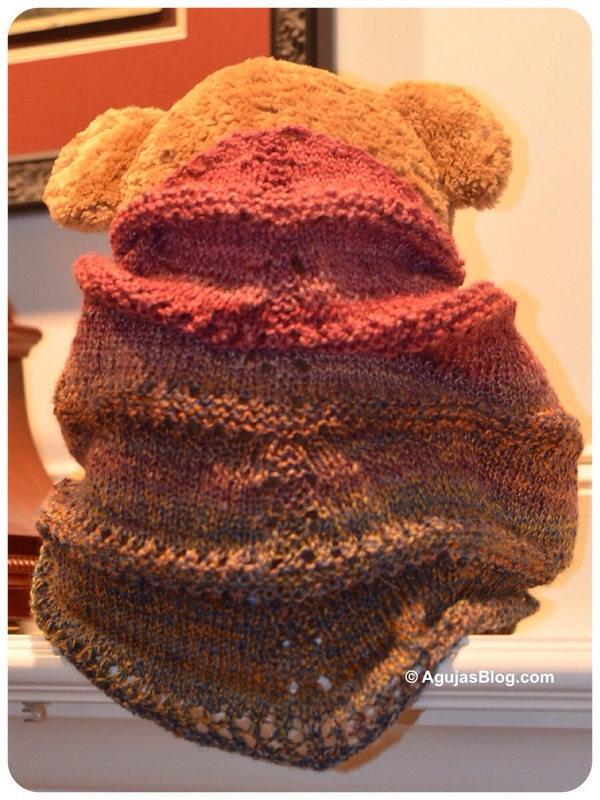 The size is just right to use as a scarf, a shoulder wrap, or to keep Bear warm on chilly nights. Here are some colorful close-ups. This was the perfect little gift to me. 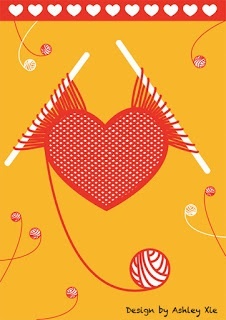 Wishing you a happy valentine’s day full of love and yarn. Awwww. 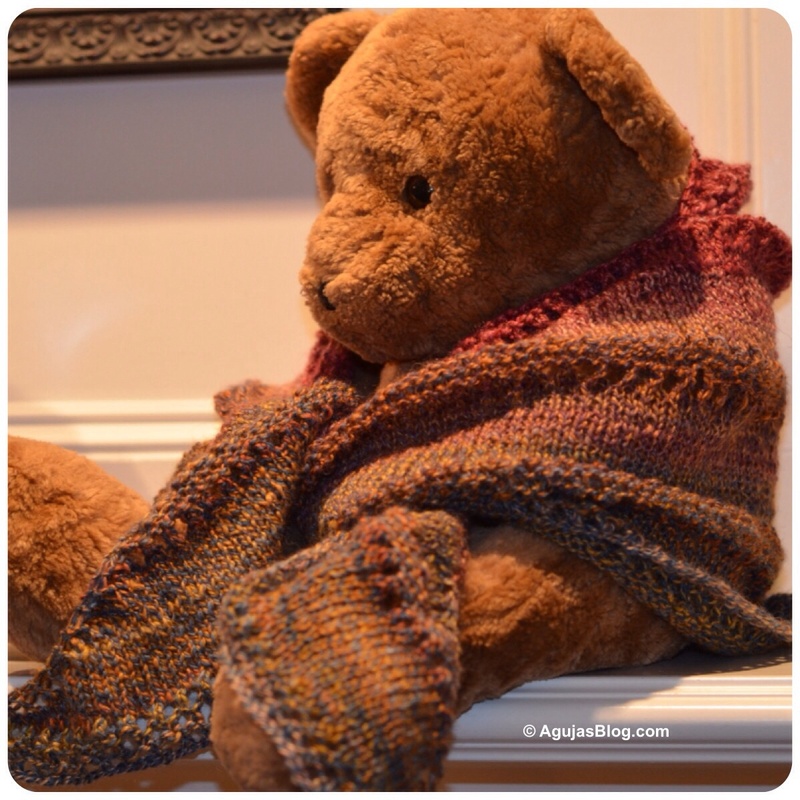 That is so adorable, I think my next FO will be keeping my teddy warm until I need it. Beautiful. 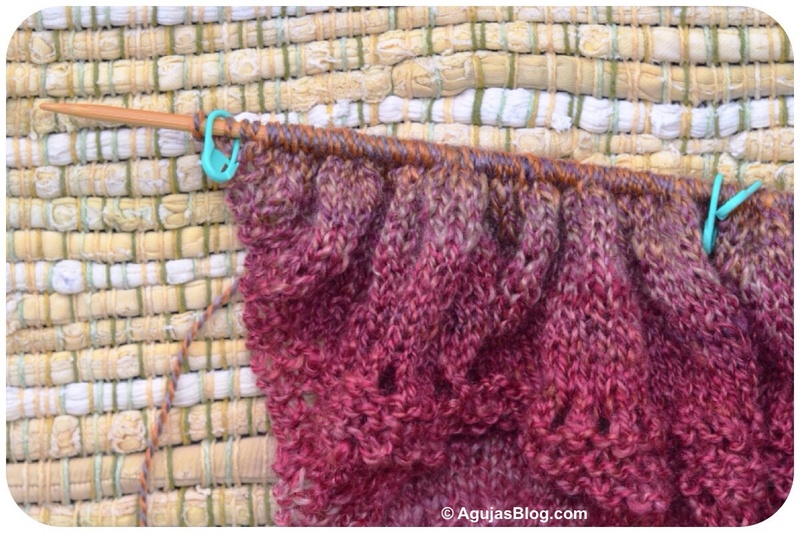 And that yarn is simply gorgeous. You know, I liked it when I bought it but it wasn’t until I unravelled the hank and started winding it that I discovered how gorgeous it was. 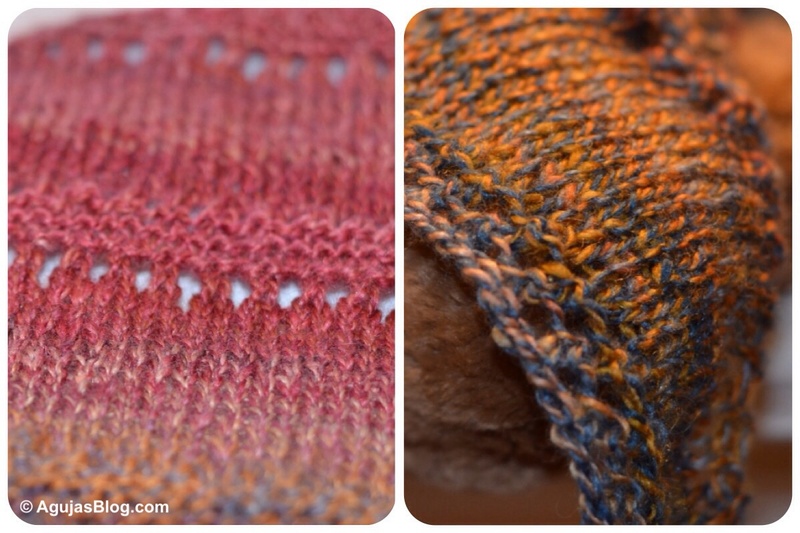 The BFL and silk gives it this wonderful sheen. 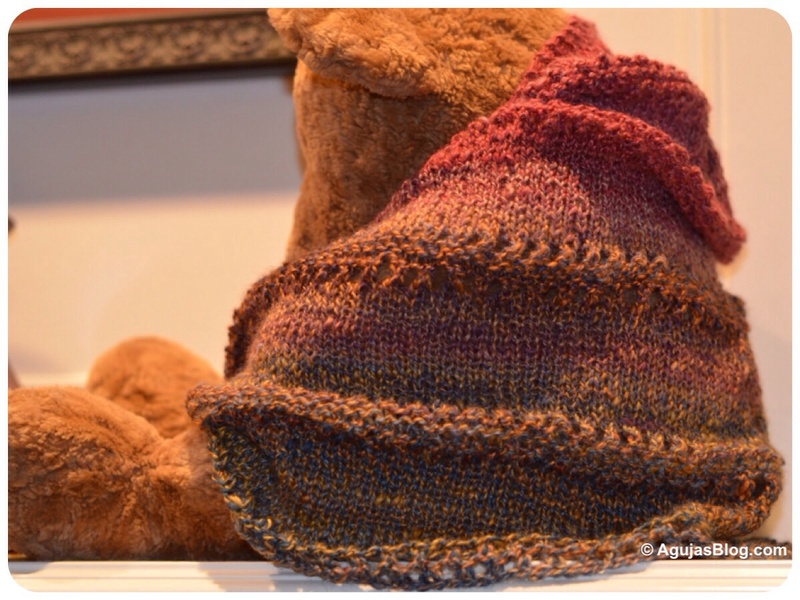 What beautiful yarn and beautiful work!!! Thanks. 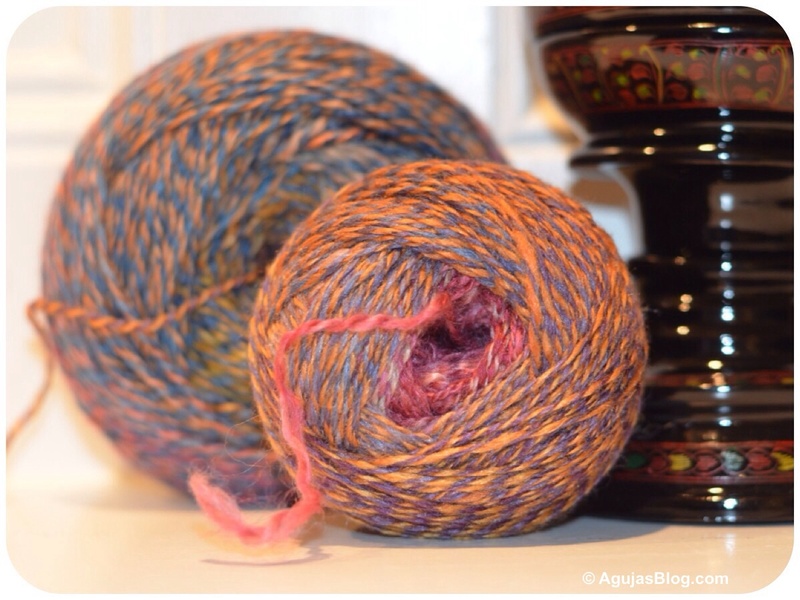 I sent a note to the spinner and she was so pleased to see what became of her yarn! Thanks! I definitely liked the combo of the colors and the texture of the hat. I just love beautiful hanspuns. 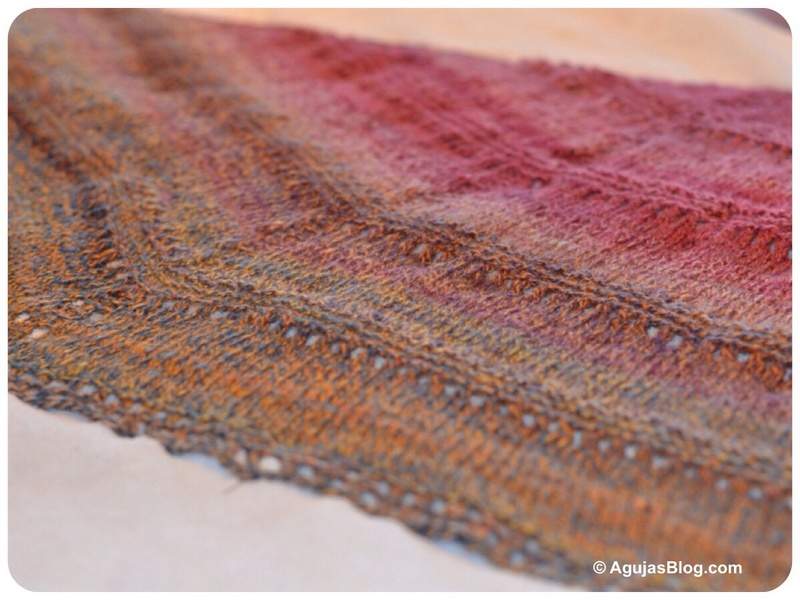 Love the colors of the shawl! Thanks. 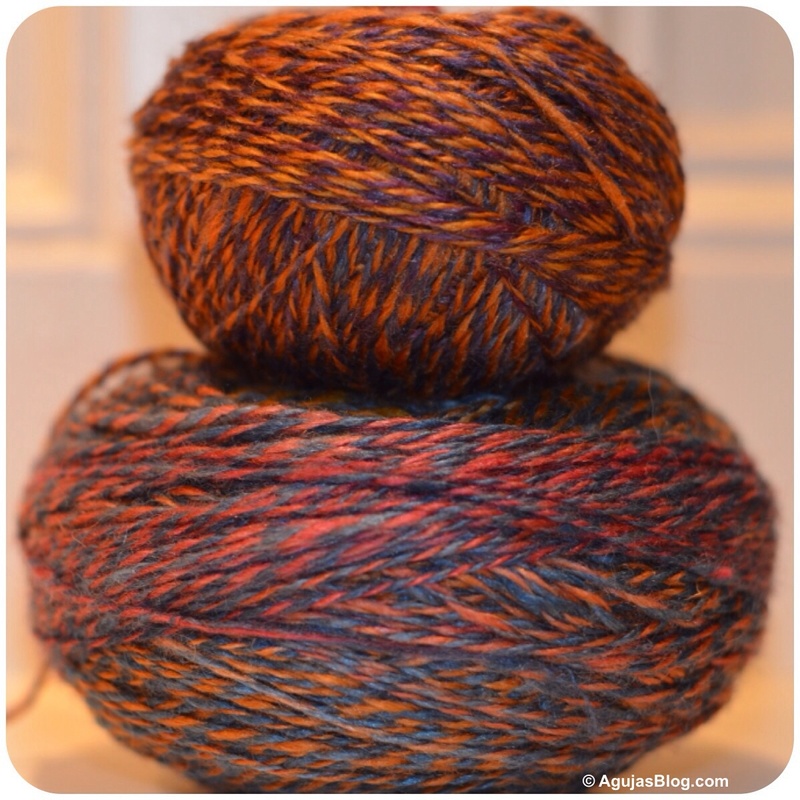 The spinner did a great job of combining rich colors.